Babblings of a Mommy: Karl Lagerfeld For Macy's Coming in August! Karl Lagerfeld For Macy's Coming in August! 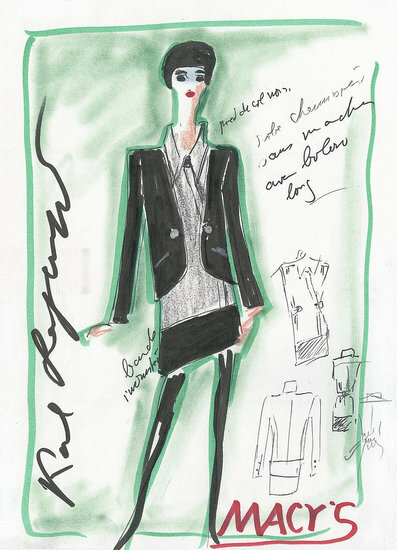 Ladies, get your wallets ready--Karl Lagerfeld for Macy's is coming August 31st! 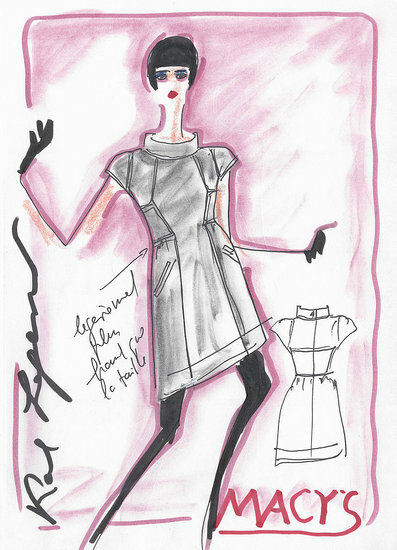 Although most of the collection is still under wraps, Macy's has released 2 sketches from the main man himself! What do you think? This collection will be sold in 235 Macy's stores come August 31st. It will feature dresses, loose-fitting tops, tweed fabrications, and silhouettes with high-collared necklines. The color palette will include pink, grey, black, and crocodile print. The best part? The collection will be priced from $50-$170! What do you think ladies, are you excited? Wow! I'm really loving all the new collaborations making fashion so much more accessible! I know! Isn't it great? !